The following is the Privacy, Disclosure and Photo Useage Policies for Setting for Four/Heather Luckhurst. 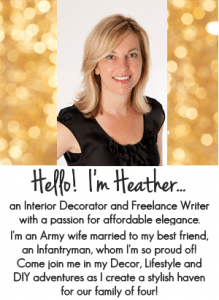 Occasionally Setting for Four/Heather Luckhurst accepts forms of compensation in the form of cash advertising, sponsorship, affiliate links, paid insertions or other forms of compensation to pay for my expenses and keep our website and social media pages up and running. Some of my posts contain affiliate links. You are not obligated to click on any link or buy any products that are advertised. If you click on an affiliate link and buy something, I may receive a very small commission. It does NOT result in additional charges to you or cost you anything extra. Mentions of associated products/services/businesses within the content of my blog may or may not be noted as an affiliate in every reference. The affiliate money I earn per month helps pay the fees to keep this site up and running. Thanks so much for your support! This blog abides by word of mouth marketing standards. We believe in honesty of relationship, opinion and identity. The compensation received may influence the advertising content, topics or posts made in this blog. That content, advertising space or post will be clearly identified as paid or sponsored content. This blog does not contain any content which might present a conflict of interest. The information presented on Setting for Four is intended for informational and entertainment purposes only and is not meant to be taken as professional trade advice. We take no responsibility for what you do with this knowledge. We can not be held responsible for any property or medical damages caused by items you read about on our website. The material shared throughout the Setting for Four website is for informational purposes only. By taking any information or education material fromSetting for Four, you assume all risks for the material covered. You agree to indemnify, hold harmless, and defend Setting for Four/Heather Luckhurst from any and all claims and damages as a result of any and all of the information covered. By taking and/or using any informational resources fromSetting for Four, you agree that you will use this information in a safe and legal manner, consistent with all applicable laws, safety rules, and good common sense. The views expressed on this website are personal opinions only. While all attempts are made to present accurate information, it may not be appropriate for your specific circumstances and information may become outdated over time. Please make sure to do your own due diligence and seek a trusted contractor before making any structural changes to your home, or before you construct something from an idea on this site. Neither Setting for Four nor its members make any representations as to the validity, accuracy, completeness, or suitability of any claims made here. Neither Setting for Four nor its members assume any liability with regard to results based on the use of the information provided here. Furthermore, advertisers, commenters, and linked sites are solely responsible for their views and content – which do not necessarily represent the views of Setting for Four or its members. All materials (including any and all materials incorporating Influencer’s name, signature, likeness and photograph), biography, blog posts and excerpts, images, photographs, social media content/posts and any and all other materials conceived, created or provided on behalf ofHeather Luckhurst/Setting for Four shall be and remain Heather Luckhurst/Setting for Four’s copyright, sole ownership and intellectual property. I love and appreciate when people share my content! All images on Setting for Four are the Copyright property of Heather Luckhurst/Setting for Four (unless otherwise expressly noted). However, I have a strict photo usage policy. If you are seeking to share a photo of mine please email me first to request consent. I may or may not give my consent to use and share one photo with a link back to the corresponding page on my site, listing full credit to Setting for Four. Use of my photos without my permission and without proper attribution is strictly prohibited. Do not remove watermarks, crop or otherwise edit photos without written permission from us. At Setting for Four the privacy of our visitors is of extreme importance. Setting for Four may change this policy from time to time by updating this page. You should check this page from time to time to ensure that you are happy with any changes. This policy is effective from May 2013. Log Files Like many other Web sites, www.settingforfour.com makes use of log files. The information inside the log files includes internet protocol ( IP ) addresses, type of browser, Internet Service Provider ( ISP ), date/time stamp, referring/exit pages, and number of clicks to analyze trends, administer the site, track user’s movement around the site, and gather demographic information. IP addresses, and other such information are not linked to any information that is personally identifiable. Our advertising partners include Google Adsense, Commission Junction, Adthrive and Amazon. These third-party ad servers or ad networks use technology to the advertisements and links that appear on www.settingforfour.com send directly to your browsers. They automatically receive your IP address when this occurs. All users and/or visitors to our website have the option to discontinue receiving communication from us and/or reserve the right to discontinue receiving communications by way of email or newsletters. To discontinue or unsubscribe to our website please send an email that you wish to unsubscribe. You can also unsubscribe at any time by clicking on the unsubscribe button that is located at the bottom of on all of my emails. If you wish to unsubscribe or opt-out from any third party websites, you must go to that specific website to unsubscribe and/or opt-out. You may request your personal data by emailing us at [email protected] Once data is requested, you will receive an email with all data related to the email submitted. You may then delete that data if you so choose. You may also request that the data be made anonymous. Setting for Four shall endeavor and shall take every precaution to maintain adequate physical, procedural and technical security with respect to its offices and information storage facilities so as to prevent any loss, misuse, unauthorized access, disclosure or modification of the user’s personal information under our control. 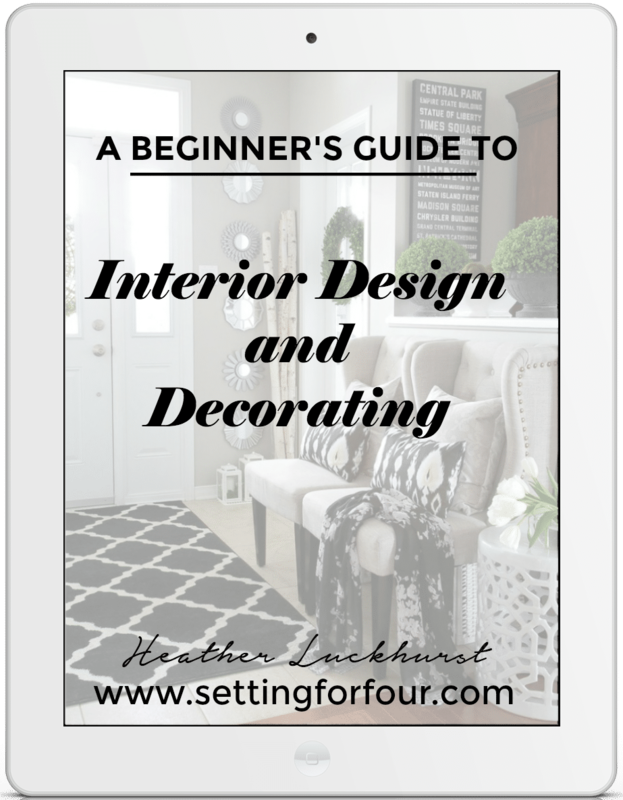 Sign up to my Free newsletter and get your FREE decorating guide: Best Sources for Stylish Decor on a Budget!